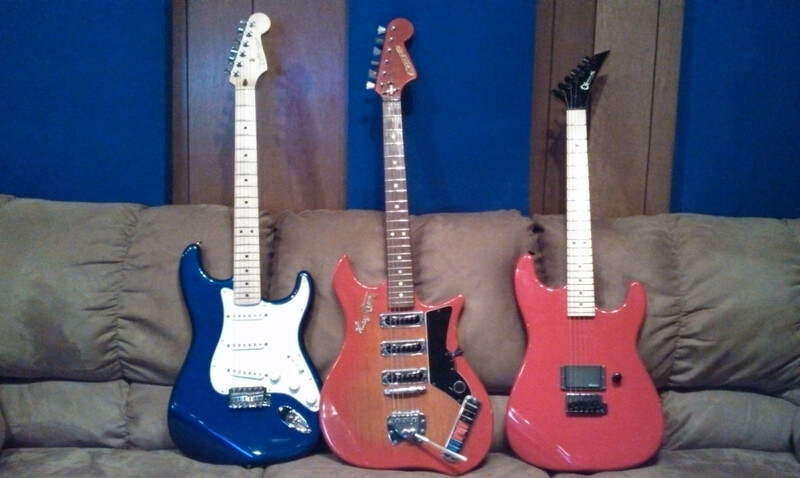 Found some time yesterday to set up a few of the electric guitars at the studio. WOW! what a difference. The ’63 Hagstrom took about 10 minutes and it was perfect. The Strat is never easy and took about an hour and sounds great. I installed 9-46s on the Charvel so the neck had to be adjusted, but wow what a difference! After setting the intonation it, it really sounds good and has great action! Why do the Strats have to be so hard? Local Favorites: The 96.5 House Band Dave Landy in the studio.